What's New for the 2018 Hyundai Ioniq? This year, Hyundai introduces a number of performance upgrades. In the Hyundai Ioniq SEL and Limited models, you'll find steering-wheel-mounted paddle shifters. These give you total control over your ride. As you merge into highway traffic or pass slow-moving minivans, simply downshift and hit the throttle for an extra burst of speed. The 2018 Hyundai Ioniq also adds a new lane-keeping assist feature to its lane departure warning system, so it can actively intervene to keep you in between the appropriate white lines. At our friendly dealership, you'll find three Ioniq trim models, the base Blue, mid-grade SEL, and top-of-the-line Limited. The entry-level Hyundai Ioniq Blue offers an excellent value. In addition to providing the lowest MSRP, this model is fully stocked with modern comfort and convenience features. Keyless entry and ignition keep you from having to dig through your bag to locate your keyring. 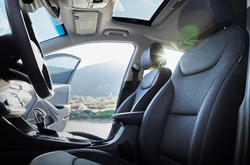 The Hyundai Ioniq Blue also includes dual-zone automatic climate control, so driver and passenger can set their own unique temperatures for maximum personal comfort. The Blue is practically overflowing with tech features, including a 7-inch touchscreen, Bluetooth, a USB port and satellite and HD radio. 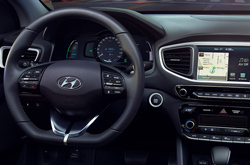 Best of all, the base model includes Apple CarPlay and Android Auto, so you can interact with smartphone apps directly from your central touchscreen. You can even access your phone's sophisticated voice controls through the central system. That way, when you're stuck in heavy traffic, you can just ask the system to play new music or call home, minimizing distractions from the road. In the mid-range SEL, niceties like heated front seats and a power driver seat with two-way power lumbar adjustments make your ride a little more luxurious. The chrome interior and exterior accents will be the envy of all your friends. 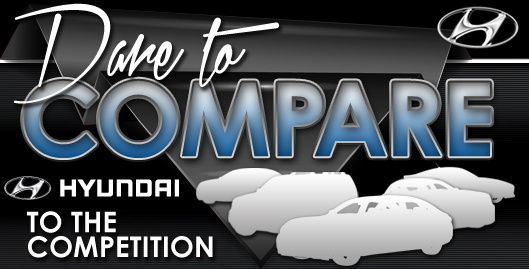 However, if you want all-out style, you should definitely test-drive the Limited. 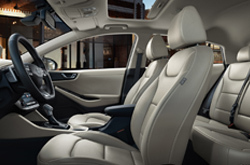 Its leather upholstery and sunroof give you the star treatment on the way to work. And, thanks to conveniences like LED cabin lighting and the auto-dimming rearview mirror, the Ioniq Limited gets you through the day in smooth style. 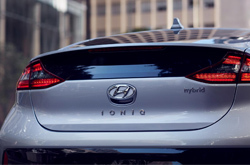 The Hyundai Ioniq hybrid hatchback has major appeal for drivers looking to save money on gas. It derives its power from a 1.6-liter four-cylinder engine that works in conjunction with a battery-powered electric motor. Functioning as one unit, this hybrid powertrain makes a total of 139 horsepower. And, depending on configuration, the 2018 Hyundai Ioniq earns up to 58 mpg combined, ensuring that you make the most of what you spend on the pump. The Ioniq puts safety first. After earning top marks in every single crash test, the Insurance Institute for Highway Safety named the Ioniq a 2018 Top Safety Pick. It also gave the Hyundai Ioniq forward collision mitigation system a rare score of "Superior." This technology senses an oncoming crash and automatically applies the brakes. It's available as an option on the SEL and it comes standard on the Limited. Beginning with the SEL, you also get blind-spot monitoring and rear cross-traffic alert. This technology notifies you of vehicles you might not be able to see, so you can switch lanes and pull out of parking spaces with increasing confidence. All Hyundai Ioniq models come with a rearview camera, which provides maximum visibility as you pull out of your driveway and into a busy street.